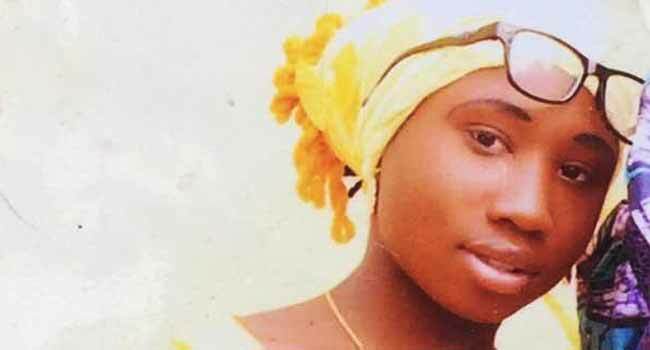 The Federal Government has condemned the report that the abducted Dapchi schoolgirl, Leah Sharibu, has died in captivity of Boko Haram terrorists. Minister of Information and Culture, Alhaji Lai Mohammed, stated that there was nothing of such while addressing reporters on Sunday in Ilorin, the Kwara State capital. “It’s absolutely fake news. There is nothing like that,” he was quoted as saying in a statement by his media aide, Segun Adeyemi. Mr Mohammed queried why such a report would emerge at a time when the nation and its people were preparing for the presidential election. He said that the report was an alleged plot by the political opposition to tarnish the image of the Muhammadu Buhari administration and exploit primordial sentiments ahead of the polls. “I think it’s part of the opposition’s strategies to throw everything at the administration and at the President. I think every day, they are realising the hopelessness of their position,” the minister claimed. Speaking about President Buhari’s campaign rally billed to hold in Ilorin on Monday, Mohammed disclosed that the All Progressives Congress (APC) has put everything in place to ensure the visit was successful. “The party has been meeting in the last couple of days to ensure that the President’s visit is very successful,” he said. The minister was confident that those who would come out to receive the President would be organic, noting that the party does not engage in renting crowds. He, therefore, appealed to the security agencies to create a level playing field for all the contestants in the elections, to allow the people to freely exercise their franchise. Mr Mohammed also reacted to the protest in some circles over the redeployment of Police Commissioners across the country. He alleged that this was the handiwork of the opposition which he claimed was working to discredit the police and the Independent National Electoral Commission (INEC).